Farmers Markets are gearing up to serve patrons this coming Summer season. They are a wonderful place to get flavourful fruits, vegetables, meats, and more. Another benefit of shopping at a farmers market is traditionally the food comes straight from local growers to the market, skipping the freezer and need for high preservatives. 1. Tis’ The Season – This may not dawn on most of you but corn in the grocery store in let’s say December is no easy task. The availability means it has to be grown in a region where it’s currently in season and shipped long distances till it reaches the grocery store. All that travelling usually means 1 of 3 things has been done to the produce to ensure it remains fresh upon arrival: (1) it is shipped frozen (2) it’s high in preservatives or (3) it is genetically modified to degrade slower. As I mentioned earlier, farmers Markets offer the advantage of locally grown produce coming straight from the farm to the market thereby, skipping the need to freeze, preserve, or genetically modify the product. That aslo means no corn in December (at least not around Southwestern Ontario or other Northern climates). So adjusting your recipes to seasonally available produce will help when shopping at a farmers market. 2. Go Early – Following with point one (1) time equals freshness (more or less). Also, most markets are stocked at the beginning of the work day so as with any limiting commodity supply dwindles and the best supply dwindles soonest. 3. …Or Go Late – For the best deals, go to the farmers market late. Farmers and other vendors sometimes discount products instead of loading them back up and carry them home. The one caveat is left over supply may mean lower quality or smaller size. 4. Big Bags & Small Change – The bags vendors offer are usually flimsy and they often cannot break large bills (rarely do you see cards accepted as well). 5. Buy in Bulk – Sticking with point (3) vendors don’t want the task of lugging stock home at the end of the day and they may also be faced with over production so there are incentives to selling in bulk. Freezing, canning, or drying are some of the ways you can take advantage of bulk prices without wasting product. 6. Straight From The Soil – The less processing the produces goes through the likely more nutritious and flavourful. For example, unpeeled carrots, beets with greens (and dirt) attached, etc. The handling required to prep these raw items takes some getting use but, the superior flavour is well worth the effort. 7. Start a Conversation – Farmers are a perfect resource for tips on food preparation and preservation (not preservatives but yes those too). Also, how they like to eat it! Building on point (1) local growers are likely your best connection on the seasonality of various produce and the nest time to consume those items in the season. 4 Questions you should be asking at the farmers market. 8. Get Some Wheels – you’ll quickly discover that produce isn’t light. Especially if you’re following tip (5). If you intend on taking advantage of Markets then you’ll want to get a portable shopping bag on wheels… on that note if you’re investing in the healthy living path and commuting by foot to your local market then a roller bag will definitely be a great investment. Alternatively, a wagon or wheeled cart will do the trick! 9. Returns – Return policies vary according to individual farmer and market. But if you suddenly realize your purchase is damaged or defective, vendors will usually allow you to swap that damaged item for a non-defective one. However, when it comes to purchasing plants, herbs, and flowers, some green-thumb knowledge, on thecustomers end, must be taken into consideration. Here’s a Guide to buying the best plants and herbs. The best floral and potted plant vendors will happily give you guidance and advice to help you make a good purchase, and in such cases returning your parched basil plant isn’t going to land on sympathetic ears. Bottom line…Ask the vendor before hand what their return policy is. These things vary on the vendor usually, not the market as a whole. 10. Can you give me a deal? – In general, this is not unacceptable etiquette if done correctly. Trying to buy two to three tomatoes priced at .25 cents a piece and asking for a discount is probably not going to get you very far but the more you buy the more room left for negotiating. Also, the chance of deal is usually a lot higher at the end of the day than at the beginning because farmers don’t want to haul back unpurchased produce. At the end of the market day, it doesn’t hurt to ask respectfully if they would be willing to negotiate on price. So what’s the takeaway? Flat-out asking for lower prices can be touchy, and different markets have different standards of etiquette. Call your market’s managing staff to find out what’s acceptable. 11. Organic – You can’t just slap an organic label on a product whenever you please. Organic food production is regulated in Canada, and it involves a rigorous set of rules and regulations. To make a very long and complicated story short, organic agriculture aims to create a holistic system that supports the health of the soil, plants, humans, animals and the planet. In practice, organic agriculture rules dictate what we can put in the soil, how we treat weeds and pests, what we feed to animals and how we house them, and how the farm ecosystem is maintained. The expense comes from the high cost to certify and produce the product, which is transferred down to the consumer. Some items are worth buying “organic”, while others are more of a blow to your pocket book rather than your Heath. 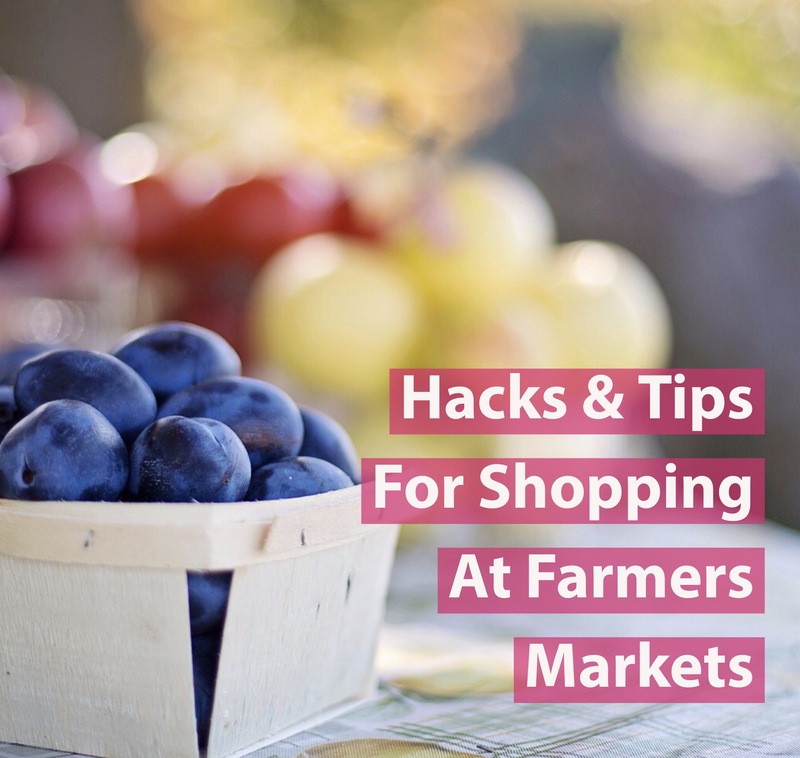 If you’re travelling to a vacation rental, cottage, or going camping this summer consider researching ahead for local farmers markets is both a great idea to save on vacation costs. Most farmers markets aren’t solely dedicated to selling produce – some offer meats, artwork, candles, natural skin care products, jewelry, and much more. You may also find entertainment and hot food vendor which makes visiting a farmers market on vacation, whether it be during the day or night, a great activity.